Ginger is one of the easiest spices to grow inside or outside, directly in the ground or in containers. Ginger scent can be invigorating. The delicate, spicy, floral scent tends to lift a person's spirit up. 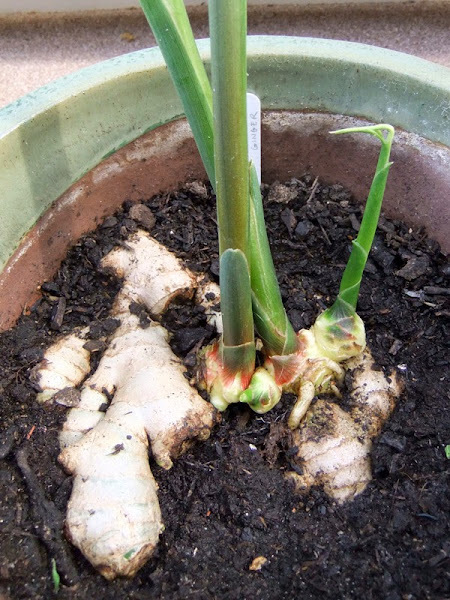 You can grow ginger in a small pot and put it on your work table, in a large container place below the stairs, or right before you enter your front door. The lovely ginger scent will greet you as you come in the door from work. The great thing about ginger is that they like partial shade or filter light, which makes them super easy to grow indoors. Ginger is so versatile. Not only can you enjoy the beautiful scent of ginger, but ginger leaves can also be made into a tea. A cup of warm ginger tea made with fresh or dried ginger leaves can help alleviate an upset stomach when you chow down on too much food during the holidays.